Looking to clean out your office space? Do you have way too much broken furniture, old computer monitors, broken printers, old cubicle parts, and out-of-date marketing materials stashed in your storage room? 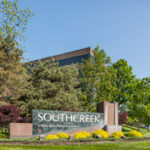 Junk King in Kansas City can help you get rid of all of that trash—and all for a 20% discount if you mention that you are a Southcreek Office Park tenant! Junk King can pick up your discarded junk from wherever you are keeping it—your office, storage unit, warehouse, or wherever it is. Junk King can come get it and clean up afterward. They also offer same day service and the lowest prices in metro Kansas City. • 2,282,500 tons saved from local landfills! Clean out your office, get a great discount, and protect the environment all at once! Looking to upgrade to a bigger Kansas City office space as you clean out your office? Give one of our commercial real estate brokers in Kansas City a call at 913-685-4100 to learn about our available office spaces for businesses of all sizes!